Thank you to Jane McGarry for sending me a free ecopy in exchange for an honest review. I absolutely did not expect to fall in love with this book. And yet, here I am, about to rave about it. First of all, this book cover is beautiful – as in I want a real copy for my bookshelf. My problem with this however, was that it didn’t convey the story inside to me. I wasn’t expecting what I read based on the cover. Beautiful, yes. Portraying the story it contains? Not so much. Then the characters emerged. And how could I not love Olivia and Liam. They were perfect. Their families and family values were fantastic and realistic. I loved the story. There was a lot of battle and combat terminology but it wasn’t so much that it took away from the plot either. 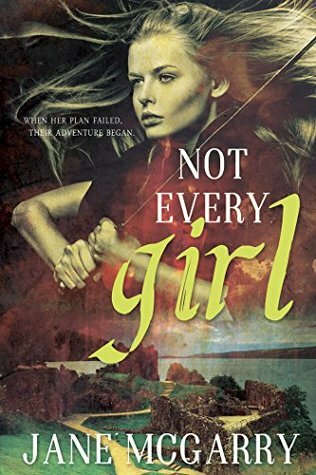 When I first started reading, all I could assume was “Oh, she’s totally pulling a Mulan.” I’m so glad that it wasn’t exactly like that and the story didn’t copy that theme but still had the same ideas. I have a few quotes highlighted, as there were some fantastic similes throughout, and the writing was fast paced and well thought out. This is definitely one of the best ARCs I’ve received and I’m so glad to have been able to read and review it! Absolutely recommended! Everyone ought to read this beauty! You’ll love it! It’s fantastic!